IF Elfsborg is a Swedish professional football club based in Borås. In 2012 Elfsborg, played their 69th season in Allsvenskan from its inception in 1924 up to and including the 2012 season. This placing them on a 5th place of those teams who have participated in total seasons. They have also played top flight football continually in Sweden since 1997, which currently is the 3rd longest top flight tenure of any club in Sweden—the longest one is IFK Göteborg, since 1977. The club is currently placed 5th in the all-time Allsvenskan table, "maratontabellen" in Swedish, which is a cumulative record of all match results, points, and goals of every team that has played in Allsvenskan since its inception in 1924–25. Furthermore, Elfsborg is placed 6th in the all-time medal table, with a total of 24 medals of different value – the most recent received in 2012. The player in IF Elfsborg who holds most club and national records is Sven Jonasson. In 409 games, most appearances ever in Elfsborg, he scored a total of 252 goals in Allsvenskan, which makes it an all-time record. He played in Elfsborg throughout his career, which started in 1927 and ended 1947, a total of 20 years. The most remarkable achievement is his unbroken record of 344 consecutive games. A sequence that was broken when he missed his first game in 14 years because he failed to receive furlough during his military service. He was also the first goalscorer ever for the Sweden national football team in a World Cup. It was in the 1934 FIFA World Cup, where he scored two goals in Swedens 3–2 victory against Argentina. Sven Jonasson, record holder of most consecutive games and goals scored in Allsvenskan. This article is about the statistics and records of the football section of IF Elfsborg. The lineup who managed to win the league title, Allsvenskan, with a 1–0 home victory against Djurgårdens IF, 5 November 2006. Anders Svensson placing himself on a 4th place on the most appearances in IF Elfsborg. Competitive matches only, includes appearances as substitute. Numbers in brackets indicate goals scored. Fredrik Berglund being one of the top-ten scorers. Competitive matches only. Numbers in brackets indicate appearances made. Only competitive first-team matches are considered. ^ "Elfsborgs säsonger totalt och i sträck". Retrieved 2012-12-06. ^ "Elfsborg 5:a på maratontabellen". Retrieved 2012-12-06. ^ "Elfsborg vinner guld och sin 24:e medallj". Retrieved 2012-12-06. ^ "Sven Jonasson allsvenska rekord". Retrieved 2012-12-06. ^ "Sven Jonasson svit avbröts". Retrieved 2012-12-06. ^ "Sven Jonasson första svenska målskytt i VM någonsin". Archived from the original on 2015-09-24. Retrieved 2012-12-06. ^ "Elfsborgs guldlag 2006". Retrieved 2012-06-24. ^ "Allsvenska guldåren". Retrieved 2012-11-28. 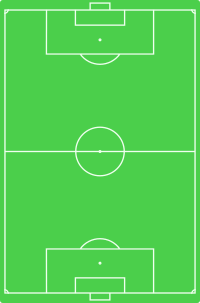 ^ "Division 1 Södra". Retrieved 2012-11-28. ^ "Division 2 Götaland". Retrieved 2012-11-28. ^ "Västsvenska Serien". Retrieved 2012-11-28. ^ a b "Allsvenska cupgulden". Retrieved 2012-11-28. ^ "Elfsborg segrare i Intertoto cupen". Retrieved 2012-06-25. ^ "Elfsborg vann The Atlantic cup 2011". Archived from the original on 2013-04-18. Retrieved 2012-06-25. ^ "Sven Jonassons oslagbara svit på 344 matcher i rad". Retrieved 2012-07-13. ^ "Svensson, 4:e flest allsvenska matcher i Elfsborgs historia". Retrieved 2012-12-06. ^ a b c "Mesta målgörare för elfsborg". Retrieved 2012-06-23. ^ a b "Mest spelade matcher för elfsborg". Retrieved 2012-06-23. ^ "Mesta landslagsman i Elfsborg". Archived from the original on 2013-04-18. Retrieved 2012-07-07. ^ "Största borta seger i allsvenskan någonsin och största seger i svenska cupen någonsin av ett allsvenskt lag". Retrieved 2012-07-07. ^ "Största seger någonsin av ett allsvenskt lag i Europa League". Retrieved 2012-07-08. This page was last edited on 20 February 2018, at 06:31 (UTC).